Southern Engine Reconditioning have been operating for 42 years and won the prestigious MTA Engine Reconditioner of the Year, three years running. Owned and operated by Matthew Dunnell, Southern Engine Reconditioning specialises in all types of engines, catering from one cylinder to twelve cylinders. 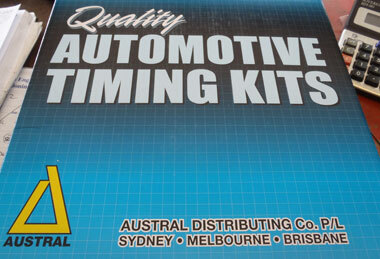 Southern Engine Reconditioning are foundation members of the Engine Action Group. 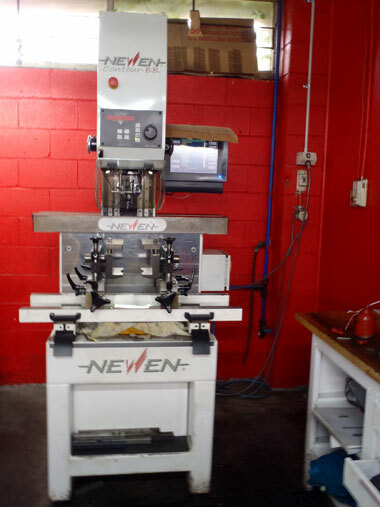 Southern Engine Reconditioning uses all the latest equipment including the famous Newen CNC valve seating machine, which is used by all the Formula One race teams and also the V8 supercar teams. We use this machine on everybody’s cylinder head when it comes in for a service because we believe that everybody deserves to have the best valve seating, so that you get the perfect seating, so that you get the perfect seal, therefore reducing the amount of fuel use. New additions to the shop include the CBN-PCD high speed milling machine for achieving the perfect head finish and the the Sunnen line hone machine. Sunnen line honing equipment is fast and accurate, can do the complete job of alignment and sizing main bearing bores in 30 minutes with maximum precision, with expectations to exceed original factory accuracy for alignment, roundness and size. These machines have been purchased to allow our workshop to maintain the highest level of technology and to keep up with the latest developments. The new engines on the market use multi layer steel gaskets, which require a perfect finish for a total seal of the head gasket; the Rottler S8M machine is the only machine of its type in the Illawarra. Southern Engine Reconditioning employs 9 highly trained staff members, all of which have engine reconditioning trade tickets. Southern Engine Reconditioning does all its own machining in-house and caters for full engines as well as machining cylinder heads, crankshafts, conrods and engine blocks and also have the latest Sunnen computerised balancing machine that gives a computer printout of every job. All work done at Southern Engine Reconditioning including reconditioning and machining, comes with a 12 month unlimited kilometres warranty. Also available are a large range of reconditioned cylinder heads ready to go, plus a full range of timing belts, water pumps and gaskets. A free pickup and delivery service (conditions apply) is available, this service allows a faster turn around for workshops. Multiple winner of prestigious MTA Engine Reconditioner of the Year.